The 4 million Members of the Evangelical Lutheran Church in America (ELCA) are being called to put their faith into action and engage in service activities across the country as part of “DayGod’s Work, Our Hands” Sunday. Join all area ELCA congregations participating in service projects in Missoula! Wear your T-shirt ! 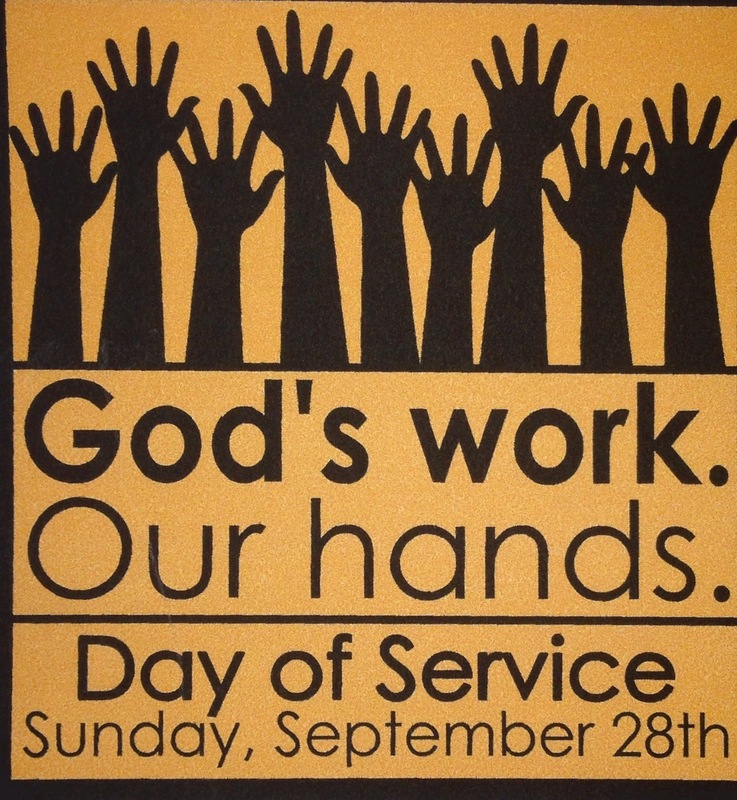 (A limited supply of “God’s Work, Our Hands” t-shirts will be available to purchase after worship on September 28th. After using our hands to do God’s work serving others we will gather together at Bonner Park at 3 pm for Worship Service & Picnic. Burgers and hot dogs will be provided. Bring a side dish or dessert to share. Bring lawn chairs and blankets for your comfort.